The White House is reviewing a new, horrible policy that, if implemented, would allow health professionals to refuse to treat transgender patients and to perform abortions based on religious or moral grounds. The policy, ironically crafted by the Department of Health and Human Services’s civil rights office, aims to protect a health worker’s right to be anti-abortion or transphobic and simultaneously will “punish organizations that don’t allow them to express their moral objections,” reports Politico. The office would also conduct outreach and technical support to help others who are seeking to strengthen protections for these workers. 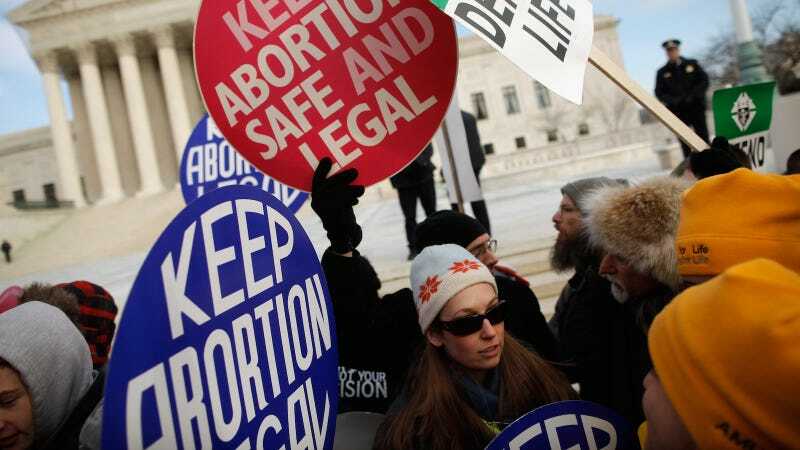 The new rules, which roll back Obama-era changes to the Bush administration’s broad policy on religious and moral freedom, are expected to be formalized as soon as Friday—just in time for the anniversary of Roe v. Wade and the annual anti-abortion March for Life.